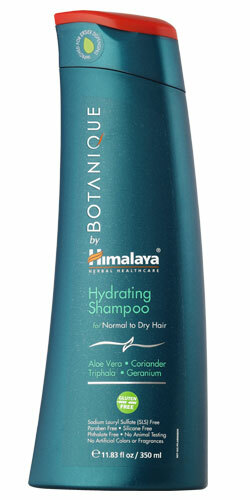 Hydrating Shampoo is a moisturizing treatment for dry, unruly hair that lacks luster and moisture. This formula offers a unique blend of rich botanicals, like Aloe Vera, Fenugreek, and Triphala to hydrate and nourish hair roots while Hibiscus, Licorice and Chebulic Myrobalan help to revitalize your hair. Coco Glucoside (from coconut oil and sugar), Water (aqua), Decyl Glucoside (from coconut oil and sugar), Vegetable Glycerin, Coco Glucoside and Glyceryl Oleate (from coconut oil, sugar, glycerin, and vegetable oils), Citric Acid (found in citrus fruits), Glucose, Dehydroxanthan Gum (natural thickener), Potassium Sorbate, Vetiveria Zizanoides (vetiver) Extract*, Origanum Majorana (sweet marjoram) Leaf Oil*, Tocopherol, Benzyl Salicylate#, Benzyl Benzoate#, Pelargonium Graveolens (sweet-scented geranium) Flower Oil, Glucose Oxidase, Lactoperoxidase, Pogostemon Cablin (patchouli) Oil*, Citrus Medica Limonum (lemon) Peel Oil*, Coriandrum Sativum (coriander) Fruit Oil*, Vetiveria Zizanoides (vetiver) Root Oil*, Rosmarinus Officinalis (rosemary) Leaf Oil, Lavandula Angustifolia (English lavender) Oil*, Eugenia Caryophyllus (clove) Bud Oil*, Eclipta Prostrata (eclipta) Extract**, Glycyrrhiza Glabra (licorice) Root Extract*, Phyllanthus Emblica (amla) Fruit Extract**, Terminalia Chebula (chebulic myrobalan) Fruit Extract**, Terminalia Bellerica (belleric myrabalan) Fruit Extract**, Sapindus Trifoliatus (soapberry) Fruit Extract*, Trigonella Foenum - Graecum (fenugreek) Seed Extract*, Hibiscus-Rosa Sinensis (hibiscus) Extract**, Aloe Barbadensis (aloe vera) Leaf Extract**, Rosa Centifolia (cabbage rose) Flower Extract*.